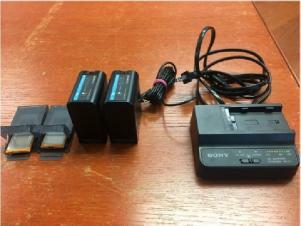 Sony's Mobile Storage Unit is a lightweight, portable device allowing users to copy footage shot on SxS Pro Memory Cards to a removable hard drive that can later be plugged into a computer for editing or additional transferring. Mobile Storage Unit provides convenient on-site video backup and transfer using the high-speed transfer capability of SxS. Simply plug your SxS card into the adapter along with a removable hard disk, press the copy button, and all your footage stored on SxS is quickly transfered to the removable hard drive. Your SxS card is now free for further recording. 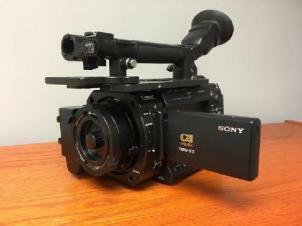 Footage on the removable hard drive can be connected to a PC via eSATA for editing directly on the drive or for fast footage transfers to the PC. An additional USB 2.0 interface is also available for connecting to a PC. One PXU-HC240 HDD cartridge can store up to seven 32GB SxS memory cards, totaling 13 hours in HQ mode or 17 hours in SP mode. 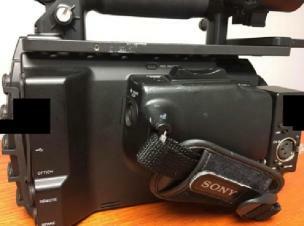 Using the same XDCAM EX camcorder batteries, video can be transferred continuously for up to three hours. Play clips from the Mobile Storage Unit (via SxS or HDD) on your EX camcorder using the included PHU cable. The PXU hard drive cartridges are fitted with insulators and 3G sensors to help recognize drops and protect against vibration and shock.